The ED has maintained that the present case had nothing to do with the alleged AgustaWestland scam and that the accused was operating and holding a number of foreign accounts illegally. 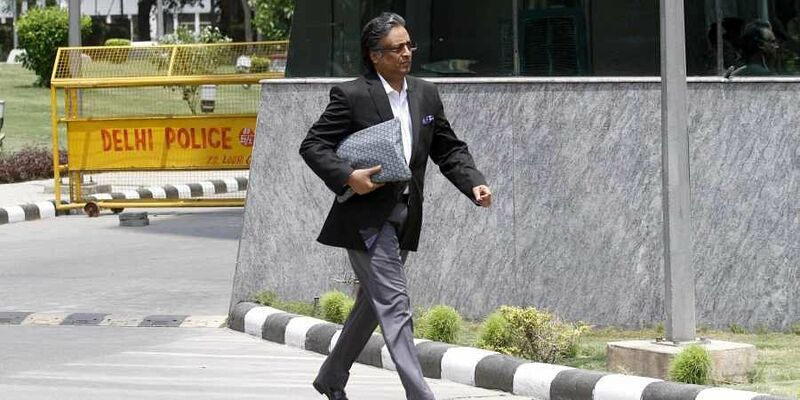 NEW DELHI: Gautam Khaitan, a lawyer accused in AgustaWestland VVIP chopper case, told a Delhi court Monday that Enforcement Directorate was forcing him to falsely implicate someone influential in "any defence deal" which happened during the UPA regime. Khaitan, arrested in a fresh case of alleged possession of black money and money laundering, made the statement before Special Judge Arvind Kumar, who extended his custodial interrogation by the ED for five more days after the probe agency alleged that the accused knows all the persons related to arms deals other than AgustaWestland. Khaitan's advocate P K Dubey told the court that there was no fresh ground for present case. Dubey said: "They asked me (Khaitan) to give any name involved in any defence deal (of UPA period). They asked to give any name, that they needed it within these two months. They are constantly forcing me to give name and I will be absolved. When Michel (middleman recently extradited from Dubai) came, you (ED) said he had taken my name and I was required to be confronted. But nothing came out of that case. Now you have come up with this case." He added that all the documents shown in AgustaWestland are being put before Khaitan again in this case and that the entire case was related to the AgustaWestland deal, for which Khaitan was already being prosecuted and was out on bail. The counsel said that several Income Tax complaints were already filed against Khaitan. "For same offence I am being prosecuted under I-T Act, Blackmoney Act and now in money laundering case. What was the hurry to arrest me? Is there any summon I did not appear for? No fresh ground for this case," the counsel said. Alleging false implication, he further added, "Any new law comes and the test is done on me (Khaitan). I have been made a monkey on whom every test is done." The ED produced Khaitan after two days' custodial interrogation and its special public prosecutors D P Singh and N K Matta sought seven more days custody for the agency. "He knows all the persons related to arms deals other than AgustaWestland and other deals. There are many more information where people who handle other deals were in his contact. All the documents shown in AgustaWestland are being put before me again in this case," the agency told the court. Denying the accused's allegation that the present case was related to AgustaWestland scam, the ED said that not just there were separate transaction but there were multiple transactions being probed in the present case. "In these three days we have found evidence about new accounts and we would like to go into details. We have to put these to accused. The custody is necessary because he will close all these account if he goes out. There is definite information that there was huge tempering of evidence," the ED said in its reply through advocate Samvedna Verma. The agency added that the probe was at a crucial stage and "if the agency will not get the opportunity of asking these questions, it will lose the tack and probe will be hampered".